Skills Framework for ICT. Photo: Dean Koh/OpenGov Asia. domains such as retail, logistics, finance and healthcare. benefits of Singapore’s digital economy. transformation and there are many opportunities in the Infocomm Media sector. 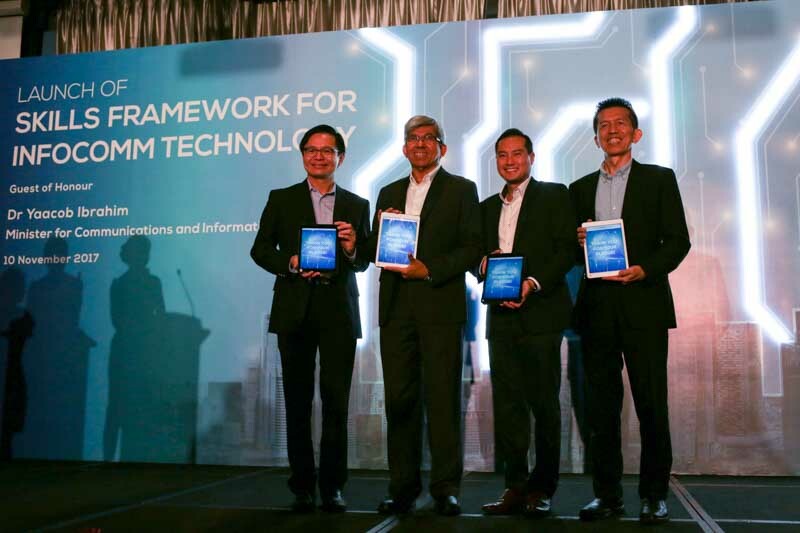 skills needed to participate in an increasingly digitalised economy,” said Mr.
Tan Kiat How, Chief Executive of IMDA. their ICT career development across the various sectors. Launched by Minister for Communications and Information, Dr.
to seize opportunities in the digital economy. Singapore National Employers Federation (SNEF) under the SAPPHIRE initiative. Applications, and Sales and Marketing.